Go ahead, get out your tanks.gg and ingame armor viewers and explain to me how on earth this bounce is physically possible, I'm waiting. E4 AP round btw, so can't have hit any plate <52mm. Have you considered that the impact angle is pretty ridiculous? Could be just my genius,though. why are you even playing the E4. He was near some soviet tanks? Usually the in-game gravity and magnetism change a lot near them. Edited by Thejagdpanther, 15 April 2019 - 08:29 AM. Look at the shell path though, it ricochets and somehow gets deflected inwards over the engine deck, I don't see how that possible if it just hit the side turret. This happens every now & then. We answered your original question. Issue with the mod IMO, rather than anything dodgy, whatever happened to the initial impact, that further path makes zero sense. EDIT: Have you looked at the replay? Where does the shell go in that? Edited by tajj7, 15 April 2019 - 11:59 AM. No gun can bounce 1mm armor,it's always triple overmatch. Most likely hit spaced armor,i.e. tracks,or the gun. Either way,proof would be nice to have. Doesn't the mod pull the shots straight from the game tho? I did look at the replay, unfortunately its not obvious there either, the shell hits in that exact spot and the bounce mark is in multiple pieces at that corner . The only reasonable explanation I could personally come up with is some kind of bug in the model or hit detection because it hit directly at the corner. Maybe I wasn't clear enough in the initital post, the whole question was how that deflection could possibly happen. I do know that just hitting the side turret at that angle will ricochet. I saw this movie recently where people can curve their bullets when firing, maybe somebody had stored that movie on the Wargaming servers and was watching it at the time of your game. In all seriousness though, more likely it's some artefact from how the mod gets information from the client, or the client from the server. There's no other sensible explanation. That's the problem with you all the time though isn't it? You guess and assume a whole lot of nonsense, demonstrating a clear lack of knowledge on even basic game mechanics, and whenever challenged on your ridiculous claims, guesses, assumptions, you come up with even more nonsense rather then actual data, replays, facts. True, but only at over 85º impact angle. I've explained this in the past, with calculations, but triple overmatch in itself does not guarantee penetration. In theory. The projectile still needs to have sufficient penetration power to get through the relative armor thickness. 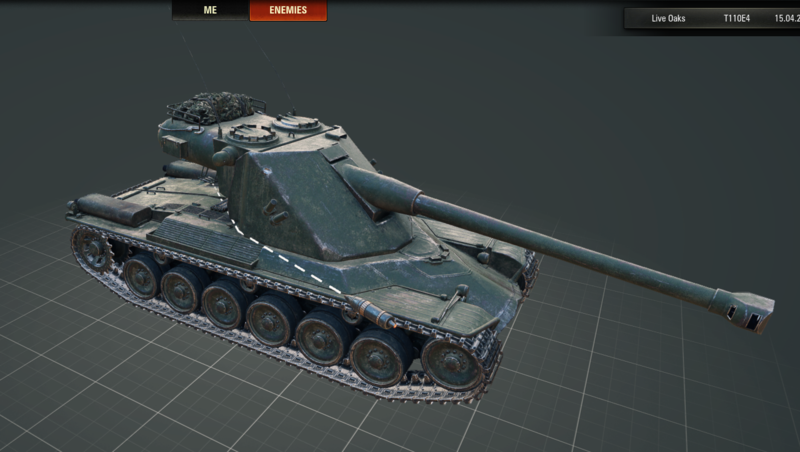 However, the additional normalization implemented in WoT does mean that there's basically not a single situation in which the relative armor thickness would defeat such an overmatching projectile. 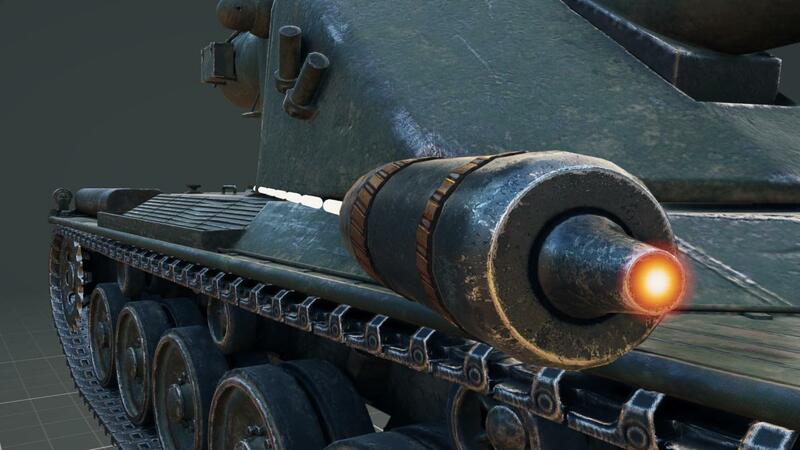 Some low velocity AP rounds from howitzer type gun at mid Tier might on occasion fail to penetrate. Could be that there's some slight misalignment of the front side plate and the back one, and that either MOD or server (or both) determined it actually hit that back plate. It would explain the deflection path. On your screen shot it does however look more as if it hit right on the edge of the side hull and top. 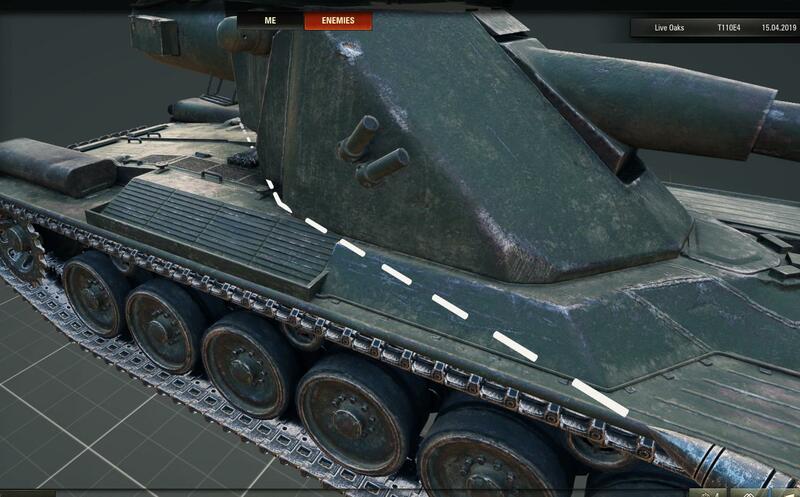 On tanks.gg I can even get a ricochet on that back side plate while not actually being to see it (turning the turret) and pointing right at the bottom corner of the front side plate. Although admittedly it does seem to be at a shallower angle somewhat. Also checked the turret bottom which is only 18 mm s couldn't be that. Edited by AliceUnchained, 15 April 2019 - 03:46 PM. "That's the problem with you all the time though isn't it? You guess and assume a whole lot of nonsense, demonstrating a clear lack of knowledge on even basic game mechanics, and whenever challenged on your ridiculous claims, guesses, assumptions, you come up with even more nonsense rather then actual data, replays, facts." This is a game forum, chill dude, you are going to have a stroke if you keep it up. Edited by pecopad, 15 April 2019 - 03:49 PM. Edited by DarkAri, 15 April 2019 - 06:41 PM. Or maybe you guys need to grow a thick skin? In my exp. he is one of the most informative posters. Edited by DarkAri, 15 April 2019 - 06:43 PM. He''s not wrong tho. There's a yawning gulf between what you know and what you think you know. Was he on level ground or coming down from a hill? As if you hit him as he did level out etc. The server could see it as a different angle "considering the visual client shell delay too etc". And as it did level out it still went for those calculations. I've seen some odd changes in shell paths with that mod. And more so then not they change angle right after I fire. So could be related. Or it is as far off as can be and it's just the server reading the hit cards upside down.